According to the Urban Dictionary, to “go ugly early” is to admit to oneself that you will not pull a good looking woman not matter how long you hang around the night club. You always end up taking the least attractive option anyway, so why not just “go ugly early” and get it over with. To a military aviator, however, there is a whole different meaning to the phrase. 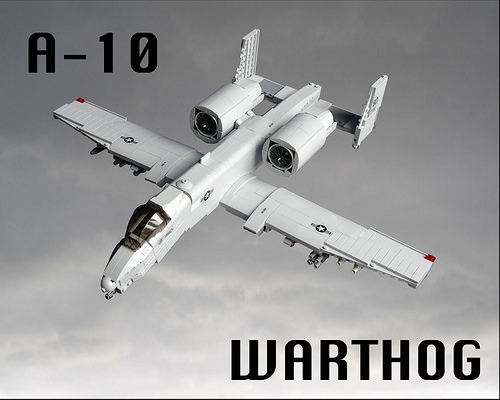 The saying has been associated with the A-10 Thunderbolt II (Warthog) in reference to calling the durable plane in early to support troops in ground combat. The builder responsible for this slick rendition is Australian (JustOneMoreBrick), who also has a very cool model of an F/A-18F Super Hornet if you’re interested.